“However, Mr. Skene endorses Fordun’s statement to this extent –that Malcolm certainly granted large tracts of the more fertile regions of the “Moors’ country to certain of his followers (two of whom were Femings, named Berowald and Freskine, understood to be the respective ancestors, inter alia, of the north country Inneses and the modern dukes of Athle). One of the fertile districts particularized by Mr. Skene is in that very portion that longest retained the name of “Moray;”.See Ancient and Modern Britons: A Retrospect, Volume 1 Page 178. But, though these Flemish colonist, and others of “his own peaceful people,” supplanted the intractable “Moors” in certain districts of that northern “Moravia,” yet Mr. Skene seems to think that considerable numbers of the earlier inhabitants continued to inhabit their fatherland, even after the ownership of it had been given to others…All through the twelfth century, indeed, these half suppressed races appear to have been in a state of ferment: now acting as auxiliaries in the armies of their overlords; and again asserting their rights as distinct nationalities. 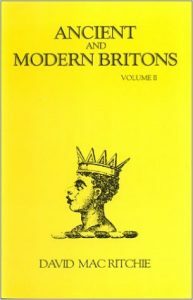 See Ancient and Modern Britons: A Retrospect, Volume 1 Page 179.